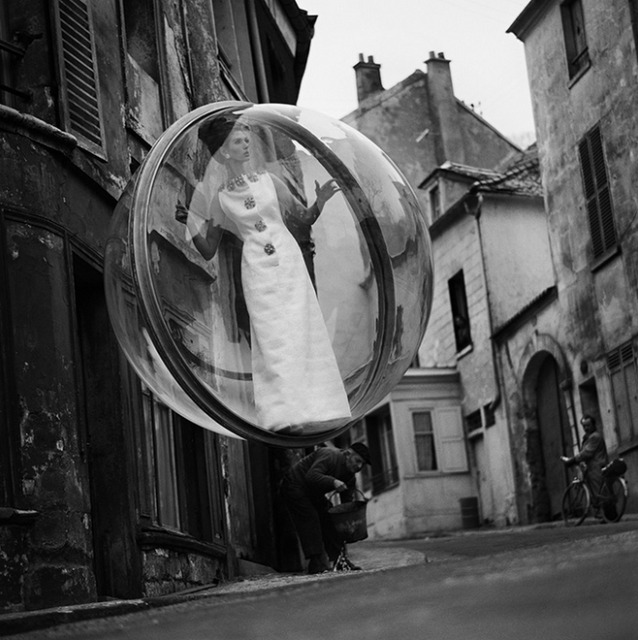 a spot of whimsy: bubble. this is the worst time of year for a mad men fan. the previous season is long over. the upcoming season is almost half a year away. and season 5 is the hardest yet, with what is sounding like delays at best and no renewal (perish the thought!) at worst. dark times, indeed, for those obsessed with all things don draper and peggy olsen. at least season 4 is out on dvd next week! so i clearly must get my 1960s fix elsewhere. 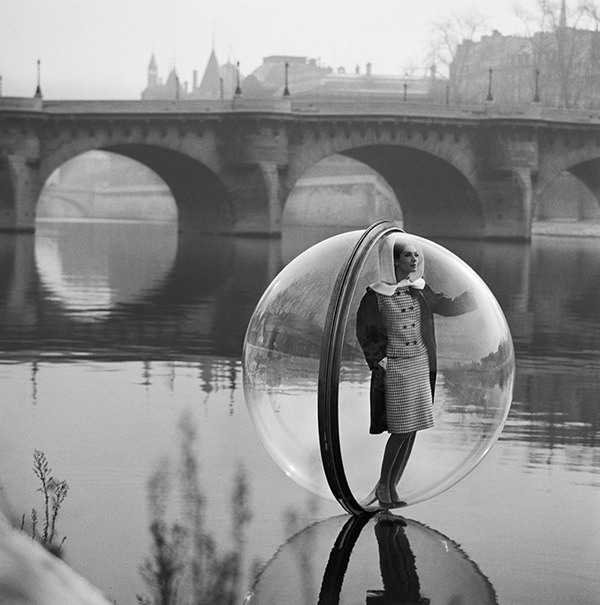 right now, it's through melvin sokolsky's photograph collection entitled bubble, shot for a spring of 1963 harper's bazaar. what strikes many who see these photographs now is the fact that computers and photoshop could not be utilized to create these beautiful images. 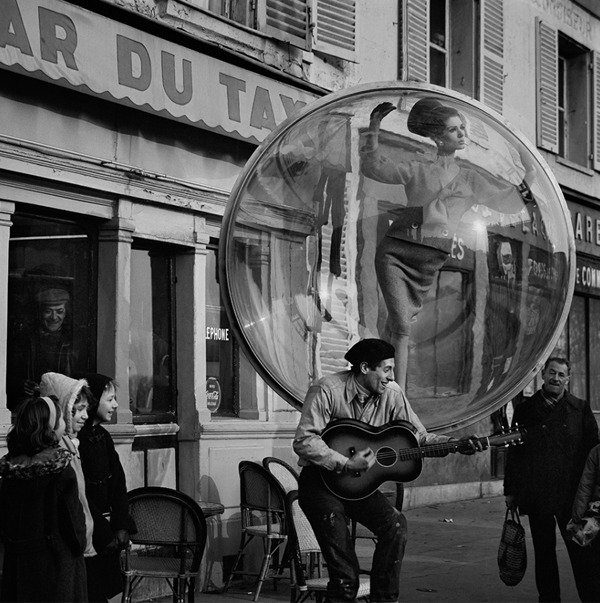 the creativity involved in having actual bubbles (with models inside!) float over the city of paris is most impressive. 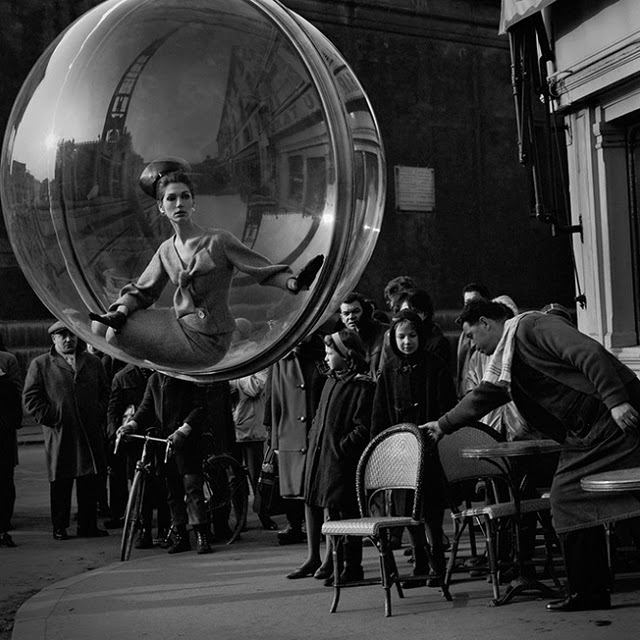 be sure to look through the rest of sokolsky's magnificent bubble collection here. Wow! What amazing photos...and so stylish! I too am a serious Mad Men fan so I feel your pain! I do watch old episode on demand. oh yes i own seasons 1-3 on dvd, but i CRAVE new episodes!! I'm glad I'm not alone in my MM withdrawals. When I heard that Season 5 might not air until early 2012, I was nearly distraught! So I am getting my 60s fix from films in the mean time. Love the photos and your blog, by the way. So glad I found it. wow, thanks so much sarah! 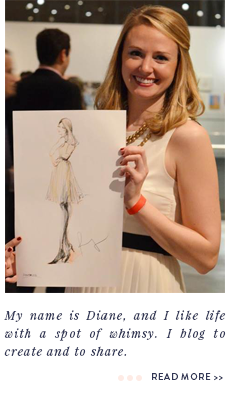 i'm glad you found it too (AND glad you share my madmen obsession!) xo. 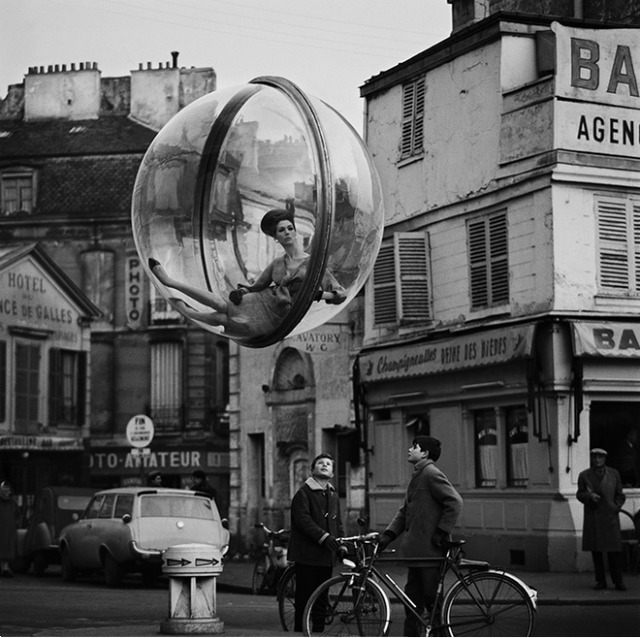 i love the bubble concept...MAD MEN in the future!